Set yourself apart from the "same old-same-old" with the fresh, classy look of Maggie Mather. 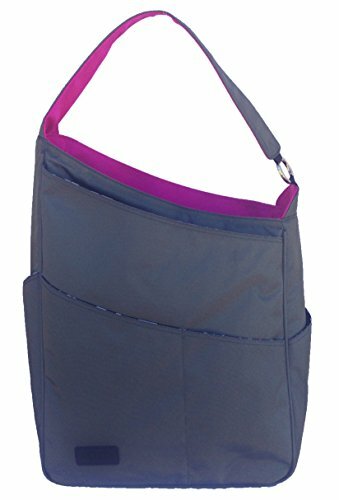 Nobody will mistake your fashion sense with a Maggie tennis tote slung over your shoulder, and the other ladies will envy the ease with which you carry your racquet, shoes and other gear in these highly functional tennis bags. A Maggie Mather bag works as both a tennis tote or for a trip about town for some shopping. Be unique. Be yourself. Maggie Mather. Dimensions: H (left 19" - right 15") x W 14" x D 5"
If you have any questions about this product by Maggie Mather, contact us by completing and submitting the form below. If you are looking for a specif part number, please include it with your message.